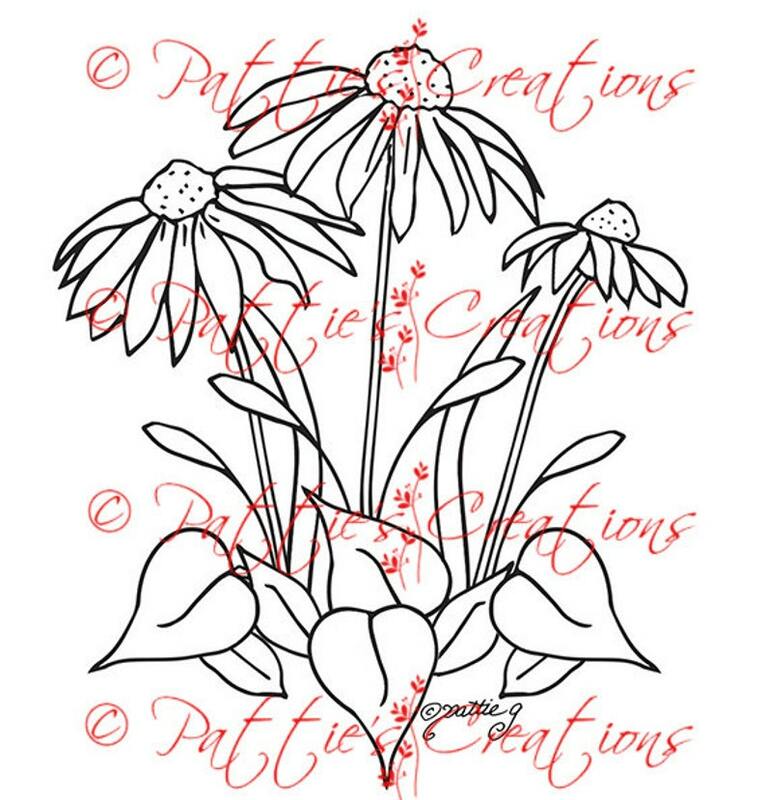 “Blackeyed Susans” is ideal for use on handmade paper crafts, including cards and scrapbooks. PLEASE GIVE CREDIT TO Pattie’s Creations WHEN YOU USE any of my images. The Copyright on all images are the sole property of Pattie Gomez and CANNOT BE REPRINTED AND SOLD ON ANY OTHER PRODUCTS EXCEPT LISTED ABOVE. After the payment successfully processes, you will receive an automatic email notification letting you know the file is ready on the Downloads page. Please let me know if you have any problems by contacting me. Oh WOW!!! This is just so so adorable, cute, delightful and just perfect for a new baby card for which I brought it for. I decided to colour the image in pencil watercolours from WH Smiths here in the UK. Hope you like the photos as much as I adore the digi image. Beautiful stamp and instant download! I LOVE IT! All of my items are listed in US Dollars. You can not use a Coupon Code for Gift Certificates. Due to the nature of digital stamps, there is no refund. All illustrations are drawn by me Pattie Gomez and they are all under © Copyright. You may use them for your craft creations but you may not include them on a CD for distribution or sell the digital images or prints or distribute/share the digital images through group mailings - please, instead, direct them to my store http://www.etsy.com/shop/pattiescreations to purchase them. You may, however, sell individual cards, crafts, handcrafted Items made with my images but you have to note the artist, Pattie’s Creations. This applies to freebies as well. No images may be printed on any product and sold on Zazzle, Cafepress, Etsy, etc. If you would like to use a PC image for use on a particular item a licensing agreement must be entered into. No mass producing of your cards or products with my images is allowed. You cannot sell them online unless you have my permission or agreement. A fee will be applied for using my images on your products that you sell. It is best to contact me first before purchasing to find out how much the fee is. It is usually between $10.00 and $20.00 depending on your use. No reselling or copying of my images allowed. THIS IS CALLED STEALING AND IS A CRIME. My images cannot be used to make rubber or clear stamps.